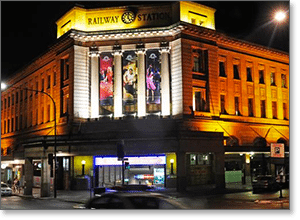 Housed within the historic Adelaide Railway Station on the city’s North Terrace, few land-based gambling venues in Australia are as conveniently located as the Adelaide Casino. Regrettably, this user-friendly situation does not necessarily extend to the gambling floor. Let us show you the ins and outs of the blackjack games available at South Australia’s only casino. The last rule in that list is an unusual one, as it is seldom applied when players can double down on a total of nine. It also knocks up the house edge, making for an overall casino advantage of around 0.70 per cent. This figure is quite steep, when you consider that traditional American blackjack games can produce an expected return of close to 99.90 per cent. Worldwide, most experts will tell you to avoid any 21 table with a house edge higher than 0.50 per cent. Unfortunately, that is rarely an option at Australian casinos, which are notorious for their questionable BJ conditions. Nevertheless, brick and mortar gambling venues in Queensland, New South Wales, and Tasmania still offer games with a theoretical return of 99.40 per cent or higher. Only the Crown Casino franchises in Melbourne and Perth are significantly worse than Adelaide, thanks to the abomination that is Blackjack Plus. Mixed pair – Two cards of the same rank, but in different suits and colours. Example: Seven of Hearts and Seven of Clubs. Pays 5 to 1. Coloured pair – Two cards of the same rank, and in the same colour. Example: Seven of Hearts and Seven of Diamonds. Pays 10 to 1. Perfect pair – Two cards of the same rank, and in the same suit. Example: Seven of Hearts and Seven of Hearts. Pays 30 to 1. With a minimum wager of $2.50, this seems like a nice little gambit at first glance – as do so many blackjack side bets. However, crunch the numbers and you will see that Perfect Pairs is not worth the trouble. The odds on these bets are decidedly unfavourable, with a house edge of 3.37 per cent. While this is only a mild hike compared to, say, Super Sevens (house edge over 11 per cent), we recommend avoiding the Perfect Pairs wager unless you are feeling extremely lucky. The pontoon tables are usually a safe haven amidst the maelstrom of woeful Australian blackjack odds at brick and mortar casinos. For example: Treasury 21 in Brisbane and Jupiters 21 on the Gold Coast can produce a theoretical return of 99.60 per cent, while versions found in Tasmania (Federal Pontoon) and at the Canberra Casino have been known to hold a house edge of 0.38 per cent and under. Historically, Adelaide Casino has bucked this trend, running pontoon tables with a house advantage of around 0.64 per cent – that is, very nearly as bad as South Australian blackjack games. However, recent rule changes (split to three hands) and the use of fewer decks (four or six, down from eight) have improved the odds significantly. So while there may still be more favourable options out there, at least Adelaide pontoon isn’t quite so far off the mark as it once was. Tipping isn’t expected in Australian casinos, but many players do choose to tip the dealer. If you’re not sure about tipping etiquette in casinos, read our guide to when to tip the dealer. Adelaide Casino may be a nice enough entertainment complex, but it is an awful venue for blackjack games – and among Aussie casinos, it is not alone in that respect. For the best odds on live 21, our recommended online gambling sites are the way to go. Each one of these secure online casinos carries the latest real money blackjack releases for Windows PC and Apple Mac, as well as mobile 21 games for iOS, Android, BlackBerry, and most other kinds of smartphone and tablet devices. Unfortunately, the implementation of the Interactive Gambling Amendment Bill 2016 means online casinos are now banned from offering their services to Australian players, so our recommended online casinos are intended for our international readers only. You can also indulge in live dealer blackjack, with real-life croupiers dealing actual playing cards via HD video streaming. This gives you the best of both worlds, melding the convenience of Internet 21 with the layout and feel of a conventional real-time blackjack table. Throw in the big casino bonuses available when you play with real money and the benefits of playing cash 21 online are pretty clear. But don’t take our word for it. Go and see for yourself by signing up at Royal Vegas Casino – our #1 blackjack site for online gamblers. Blackjack.com.au’s trusted Internet casinos carry dozens of interactive blackjack games – from traditional versions like Classic Blackjack and Vegas Strip Blackjack, to more modern variants like Big Five and Double Exposure. For our international players, we highly recommend Royal Vegas Casino, which offers mobile blackjack and live dealer 21 games alongside its conventional desktop casino and instant play blackjack titles. New players can claim up to $1200 bonus cash just for opening a real money casino account, so international readers, sign up at www.RoyalVegasCasino.com today.